paneer popcorn recipe | paneer snacks recipe | paneer starter recipe with detailed photo and video recipe. 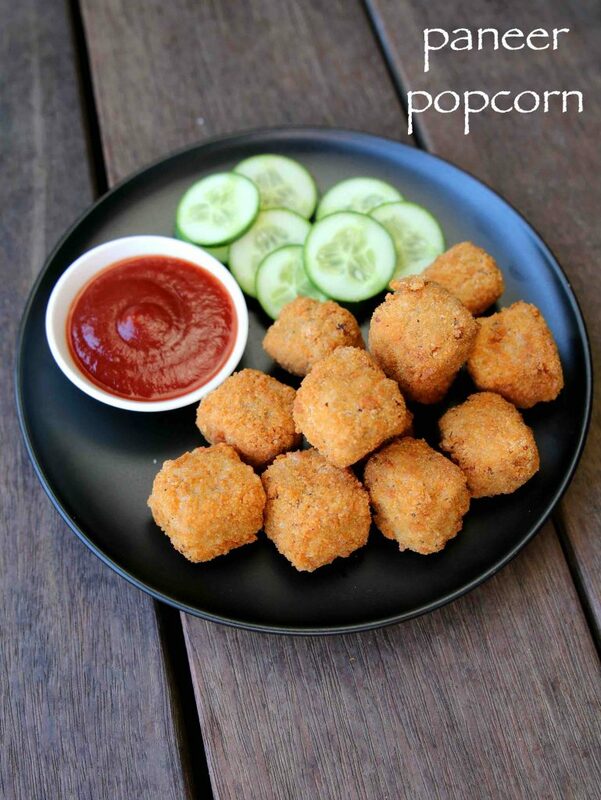 an inspired recipe from the popular kfc popcorn chicken specifically for the vegetarians or paneer lovers. these popcorn recipes are an ideal snack recipes or party starters recipe which can also be treated as kids snacks recipe. 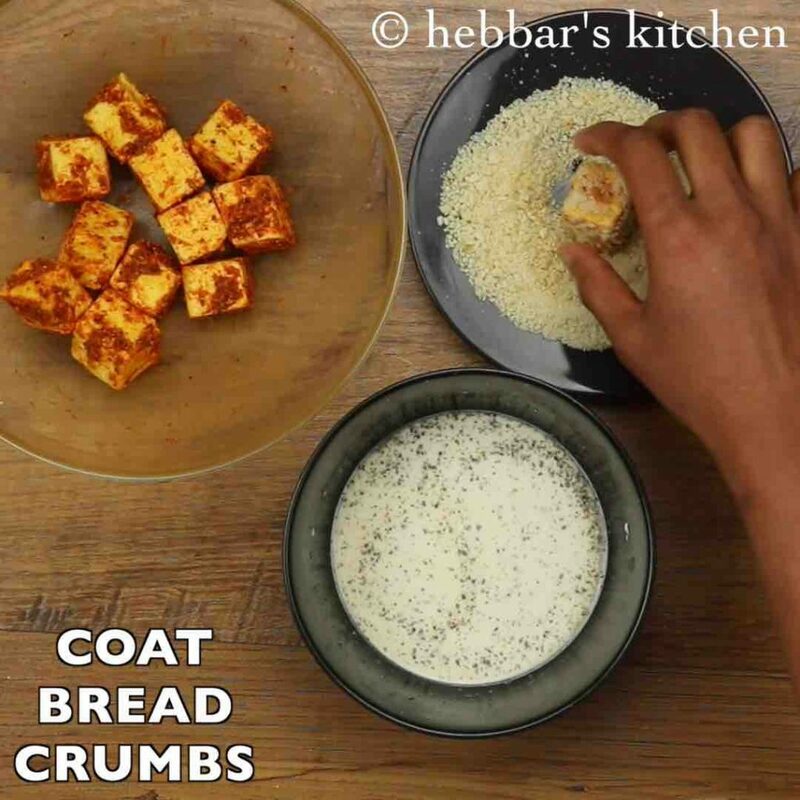 there are several paneer recipes especially under the snacks section but none can replace this recipe with its crunchy and crisp texture. 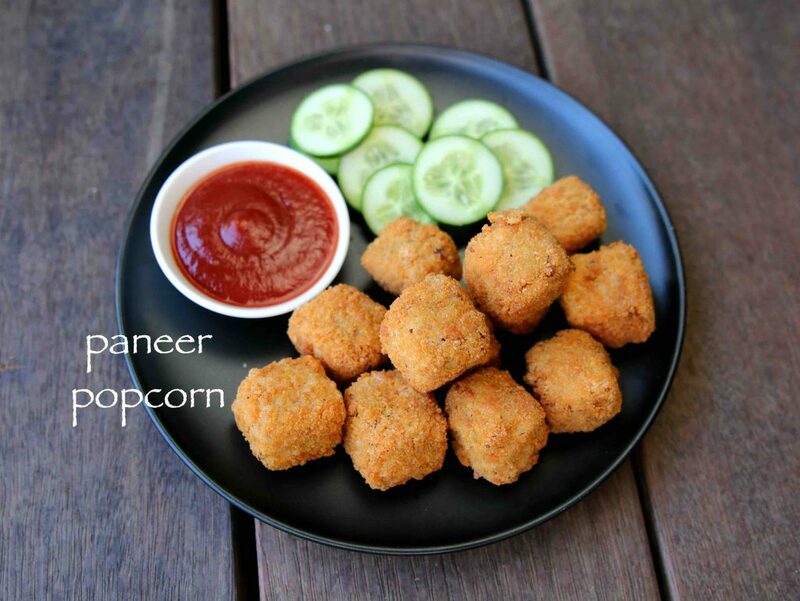 paneer popcorn recipe | paneer snacks recipe | paneer starter recipe with step by step photo and video recipe. the recipe is very much inspired from its chicken counterpart but perhaps is much easier to prepare it. the highlight of this recipe is its crispy and crunchy outer layer, to the soft and moist texture of the paneer makes it unique and lip smacking recipe. 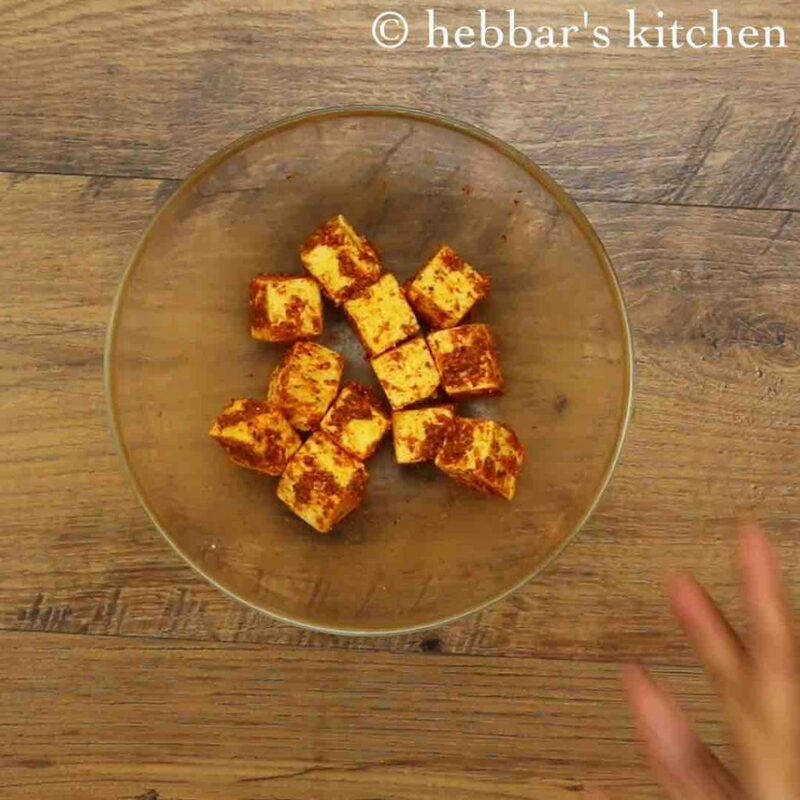 the paneer bites or paneer popcorn’s can be relished without any sides but tastes better with spicy tomato ketchup or green chutney. the recipe for paneer popcorn is extremely simple as compared to it fancy name. to be honest the recipe followed in this recipe is almost similar to my previous potato bites recipe with some changes to it. i personally felt this recipe was much better compared to the potato bites perhaps because of the 2 main reason. 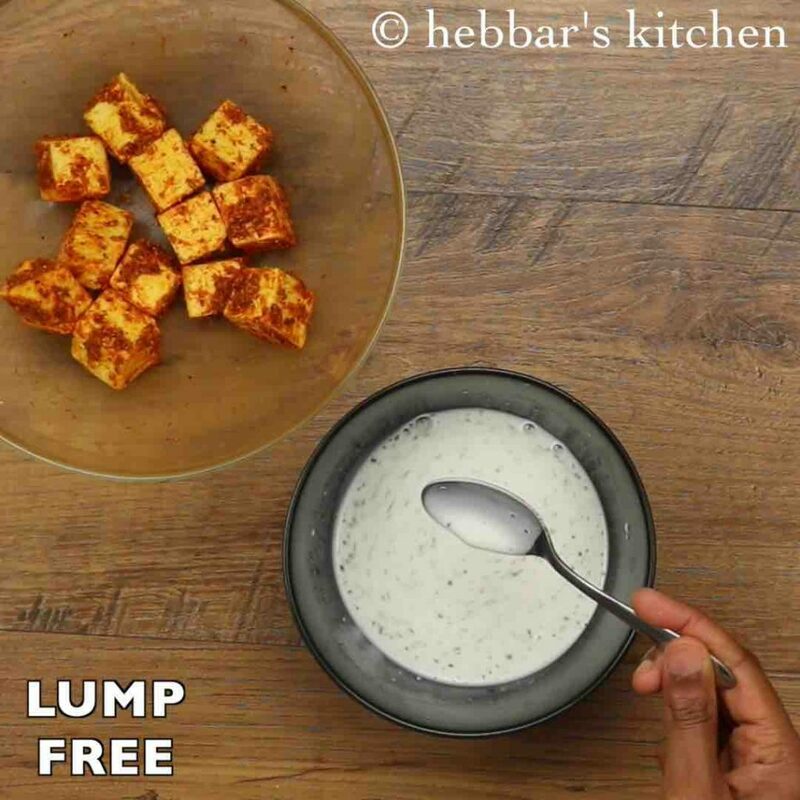 obliviously the first and important reason is because it is a paneer recipe with a combination of crisp and soft texture. 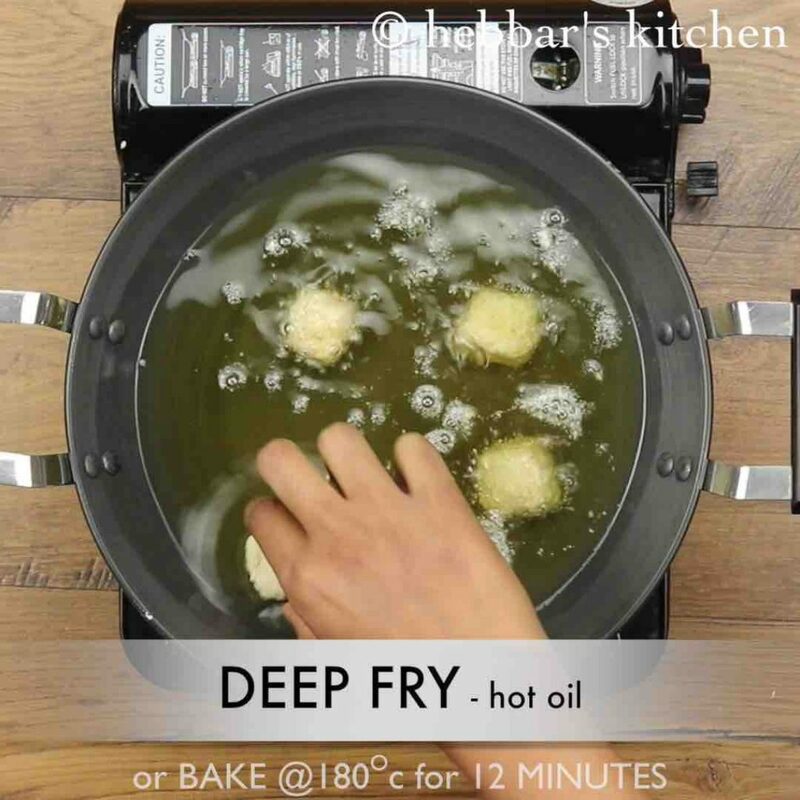 the other important reason i personally felt is the less absorption of oil while deep frying it. in this recipe i have used double coating technique which makes it less oil proof. 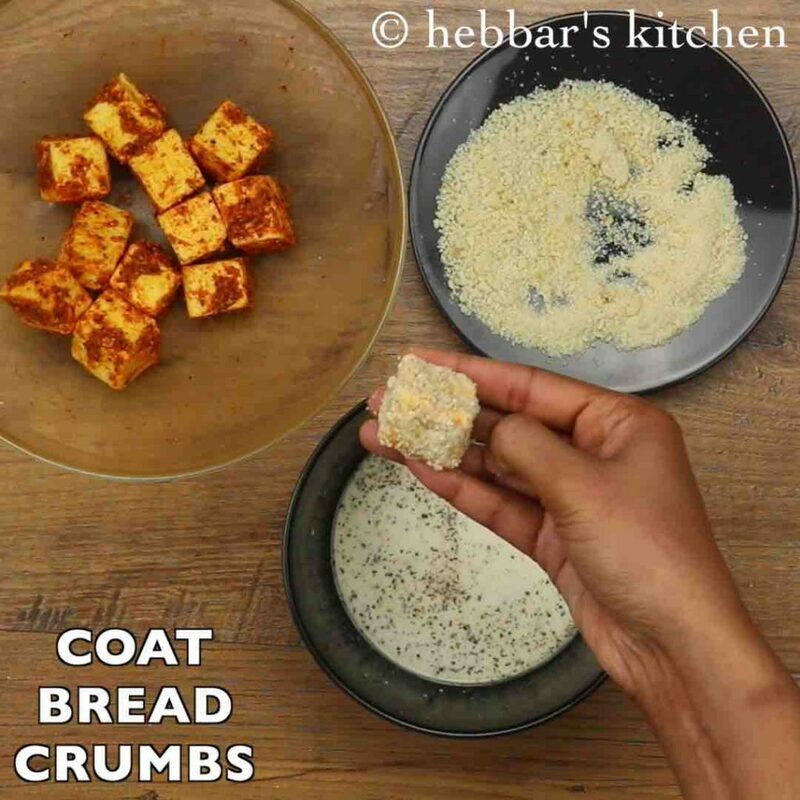 basically i have used breadcrumbs to coat it twice around the paneer cubes before deep frying which helps paneer to be secure from hot oil while deep frying. 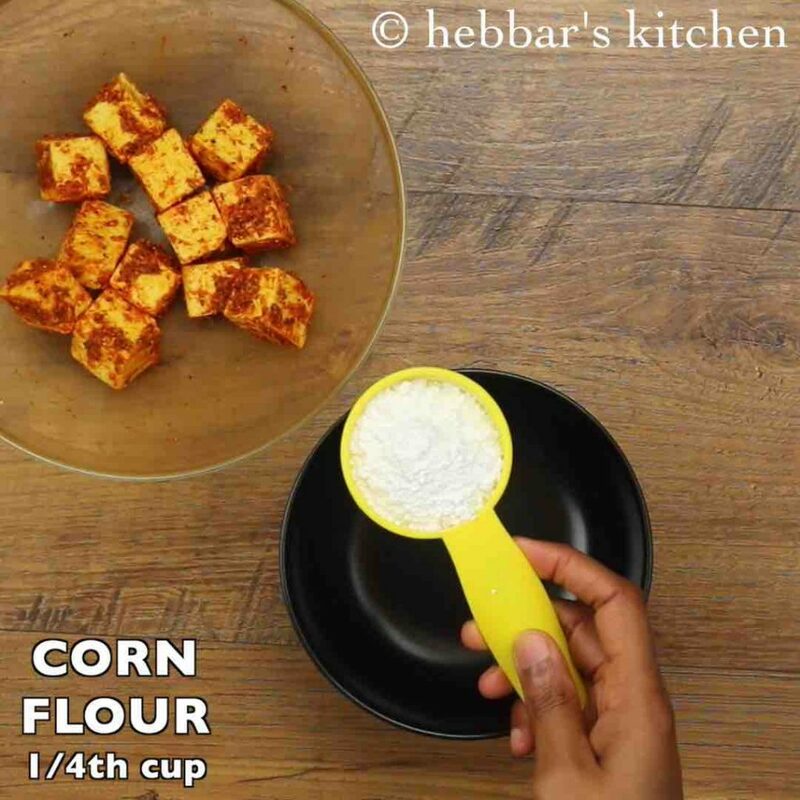 while the recipe is very easy to prepare, yet i would like to highlight some tips and tricks while preparing paneer popcorn recipe. firstly, in this recipe i have used fresh home-made paneer which yields best for this recipe. alternatively you can use store bought paneer but ensure it is fresh and moist before buying it. secondly, i would heavily recommend to use panco breadcrumbs for best results. in addition do not forget to apply the double coating before deep frying which should protect the soft and moist paneer. lastly, deep fry these popcorn’s in a medium to low flame so that it gets golden brown in colour and also gets cooked evenly. 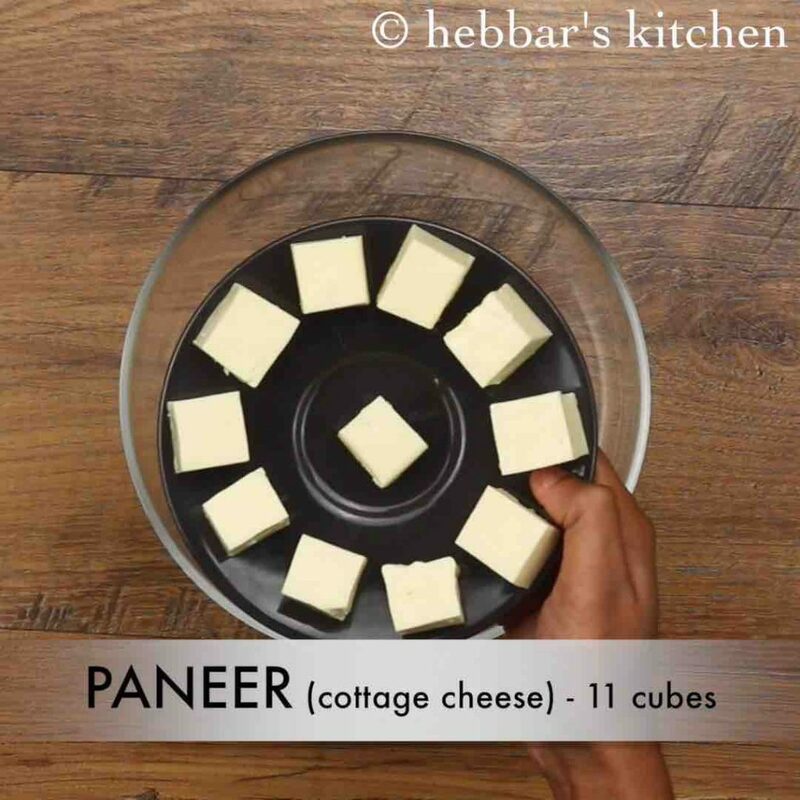 firstly, in a large mixing bowl take 11 cubes paneer. add 1 tsp ginger garlic paste, ¼ tsp turmeric, ½ tsp chilli powder, ½ tsp pepper, ½ tsp mixed herbs and ¼ tsp salt. mix well making sure all the spices are coated well to paneer. 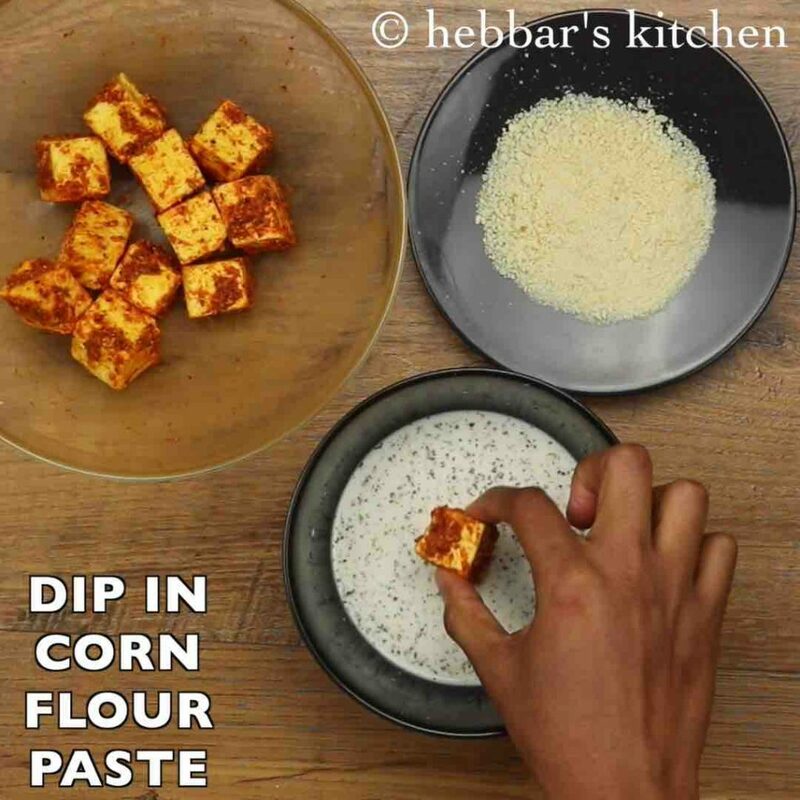 now prepare corn flour paste by taking ¼ cup corn flour, ¼ tsp pepper and ¼ tsp salt in a small bowl. add ¼ cup water and prepare smooth lump free batter. now dip marinated paneer into corn flour batter. further, roll into breadcrumbs coating all the sides. 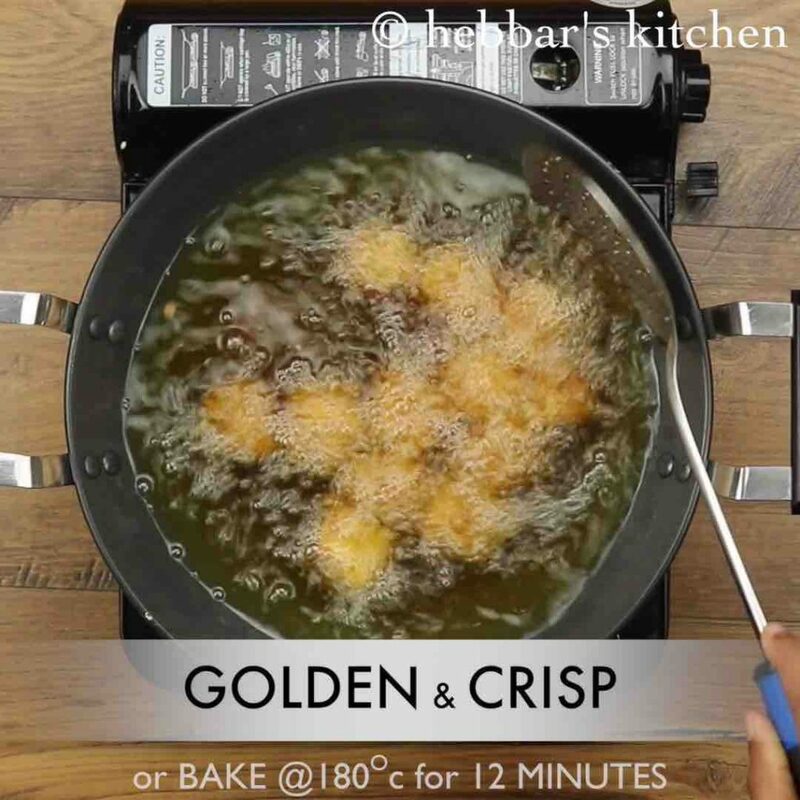 deep fry in hot oil or bake at 180-degree celsius for 12 minutes. fry till the paneer turns golden brown and crisp. finally, drain over a kitchen towel and serve paneer popcorn with tomato sauce. 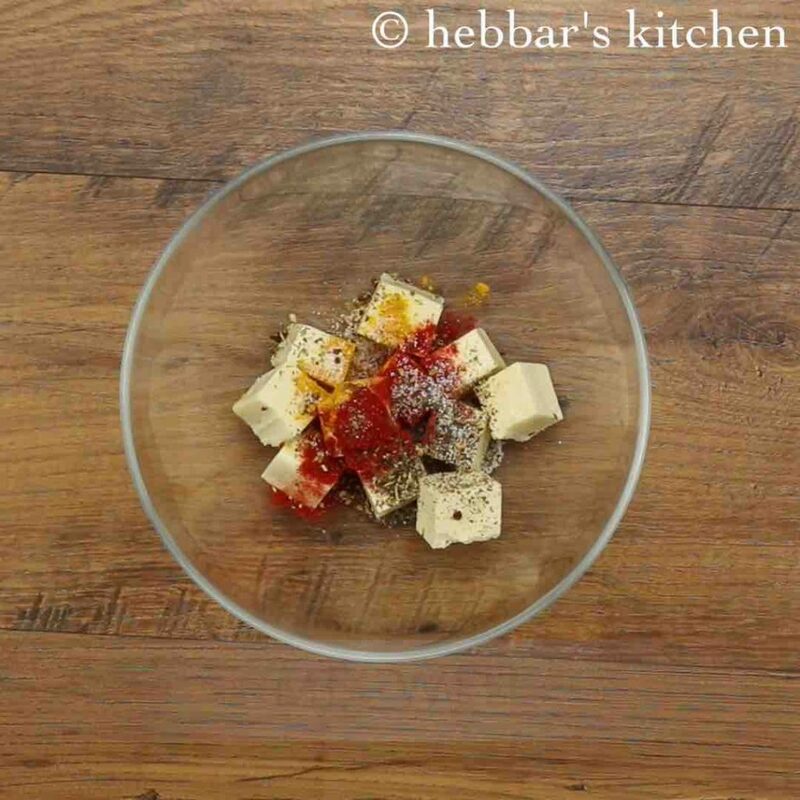 firstly, marinate paneer for 30 minutes, for more flavours. also, double coating marinated paneer gives nice crunchy texture to paneer popcorn. 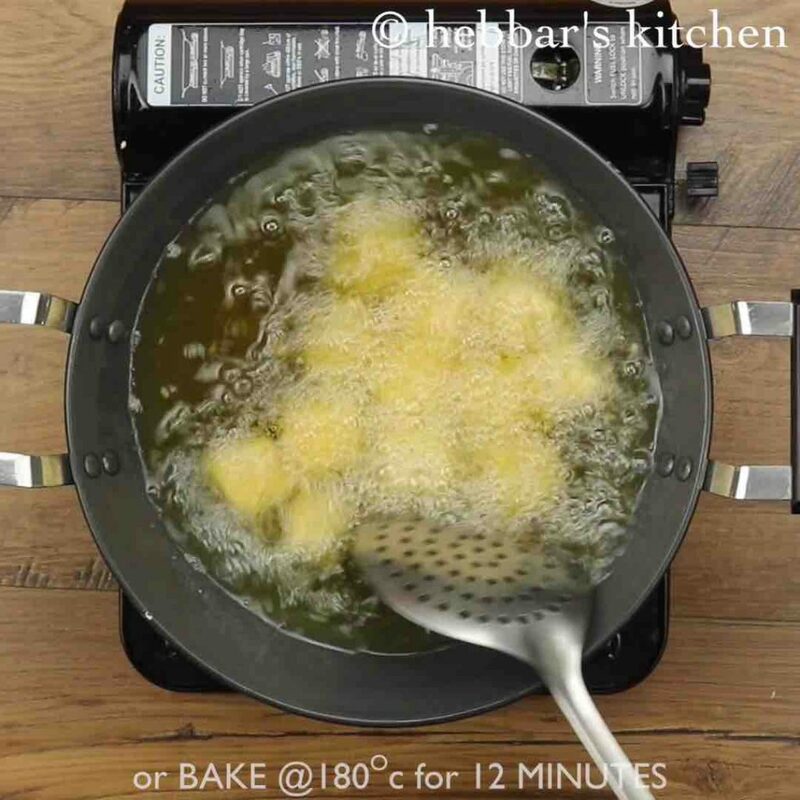 additionally, use breadcrumbs or crushed corn flakes for restaurant style texture. 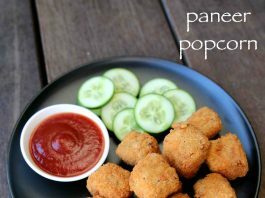 finally, paneer popcorn recipe tastes great when prepared with small cubes of paneer. hi, I have tried this recipe. it turns ok. I have query is cornflour paste should be thik or watery? I prepared littile watery so all the masala washed off and the taste was not spicy. rest all ok.